BBC iPlayer is actually an internet television channel that also has the capabilities of a of a radio service. It can be watched online by people and it also comes in the form of software that has been developed so it can run on devices other than PCs or laptops. The BBC iPlayer has been around since December 2007 and in a very short span of time, has seen immense popularity as it has now become one of the most accessed services in the UK. Other than being accessed using a PC, BBC iPlayer can also be accessed on android, iOS and BlackBerry devices and phones. It can also be streamed using different types of gaming consoles. This vast compatibility of the service has really played a crucial part in making it popular. Despite the immense popularity of the service, BBC has decided to restrict iPlayer to UK only. This has caused a problem for many fans that like to see the service but cannot access it. A bigger problem is caused to English people when they move to Europe, US or China for business or educational opportunities. They are fans of the service because they have been watching talk shows, sitcoms and dramas on it for years and when they move abroad, they cannot access the service. Many of our readers who have now moved abroad from UK have been mailing us about this problem and need a solution. 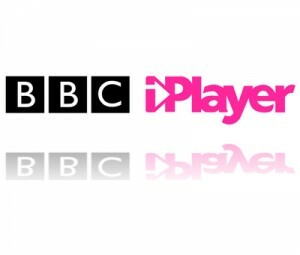 We are happy to tell you now that it is possible to access the BBC iPlayer in any country of the world without any problem by simply using a VPN connection.Those of you who know how a virtual private network operated might have already gotten the idea of how this service would work. For those who are not sure about it, it is very simple to understand. You are identified on the internet by your IP address. Whenever the iPlayer sees that your IP address is not from UK, it restricts your access to the website. However, if you hide your IP address and replace it with one that is from UK, you will be able to get access in any part of the world. Hence, what VPN does for you is that it hides your real IP address and displays one that is from UK no matter where you go. In this way the BBC iPlayer server never knows that you are actually not in UK and thus you get unrestricted access at any time and any place. There are a number of VPN service providers around the world that will provide you this service at very reasonable costs but there are a number of factors that you need to keep in mind. For example a VPN provider who does not have a server in UK will not be able to get this service for you. SO, to take care of the VPN provider selection that you were going to do with much trouble, we have made a list for you of top VPN service providers for you that can be used to access BBC iPlayer outside UK. Below you can see these VPN providers. Do try them and let us know what you think! 4 Responses to "How to Watch BBC iPlayer outside UK"